It is essential that a maintenance programme is in place at the outset. 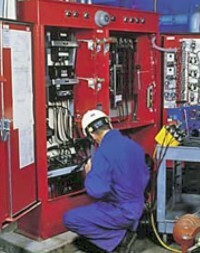 Ortomader offer support and maintenance for all the electrical systems we design and install. Our electrical engineers have over 25 years experience in a variety of automation industries. We are able to provide breakdown support to third party systems as well as our own. We can offer machine/system upgrades if your system has components that are now obsolete or upgrade a PLC or HMI that is being phased out. We can audit your control system and provide backups of PLC software.